As the chilly months begin, it is now the time to come in from the outdoors and gather around your warm and comforting fireplace. Your home’s fireplace makes a big statement in your home so it definitely deserves a refreshing look. Its surrounding wall tiles will complete the environment you’re trying to create. With so many different options for your fireplace inspiration, the possibilities for your dream fireplace design are endless. 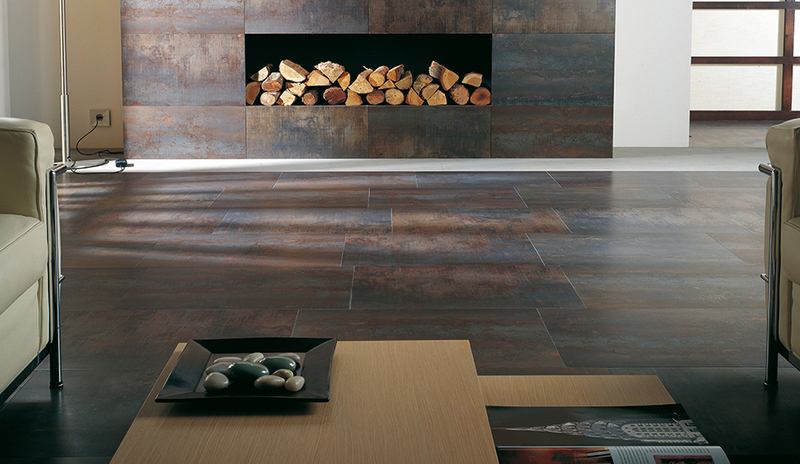 Mirage Dark is a beautiful tile to create an edgy, strong look for your fireplace. With its dark grey color and hints of light grey, it pairs wonderfully with a light grey fireplace as shown in the image. 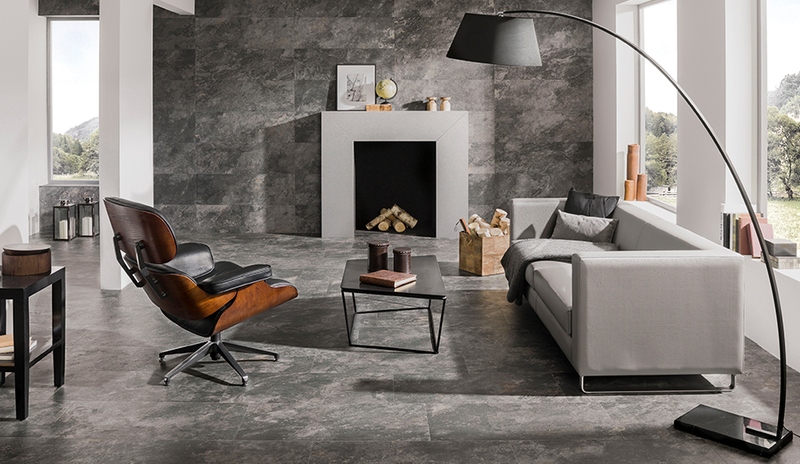 For a room that has a consistent mood, Mirage Dark can be used for both wall and floor tiling. Its touch of gloss complements the natural beauty of the tile as well, Mirage Dark is offered in two sizes and makes a great add to your fireplace. Rhin Gris is also a great choice for consistency in the grey color scheme. With a somewhat patchy grey design, Rhin Gris works will with larger fireplaces. As larger fireplaces are more of an accent piece, Rhin Gris is subtle yet strong in body and finish. To gear towards a darker and more natural look, the Ferroker is great for simpler fireplaces. The patches of brown in the Ferroker tile reflect beautifully against natural lighting. Its matte finish along with the added gloss will be brilliant for surrounding your fireplace. 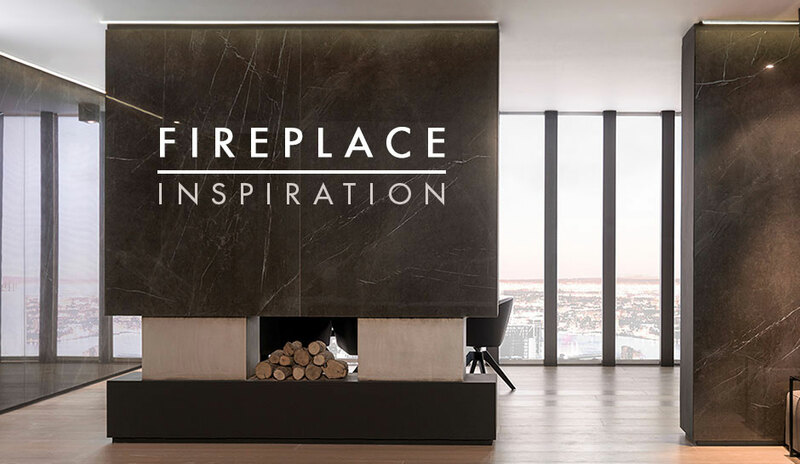 Browse our fireplace inspiration gallery for ideas for your next project! Visit our design consultants at Porcelanosa today; they will help you choose the perfect design for your fireplace!